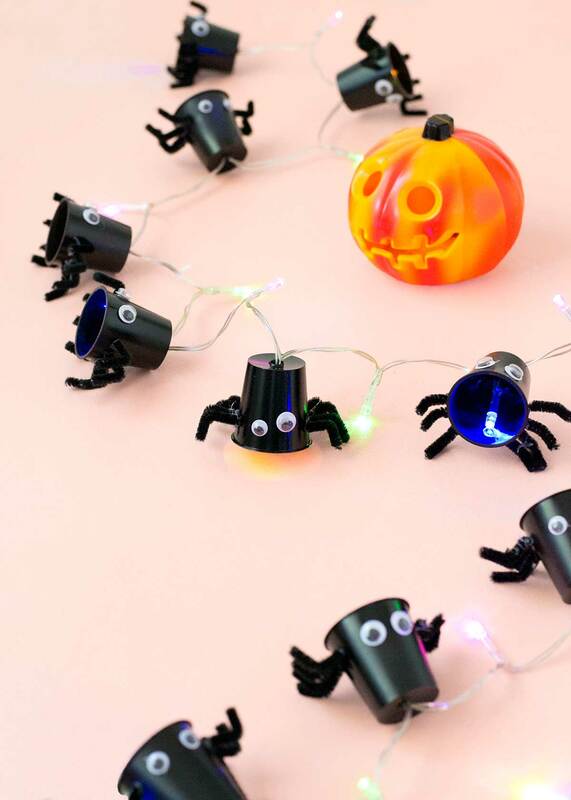 It’s hard to go past a good set of spooky string lights when you’re decorating the porch for Halloween wouldn’t you agree? 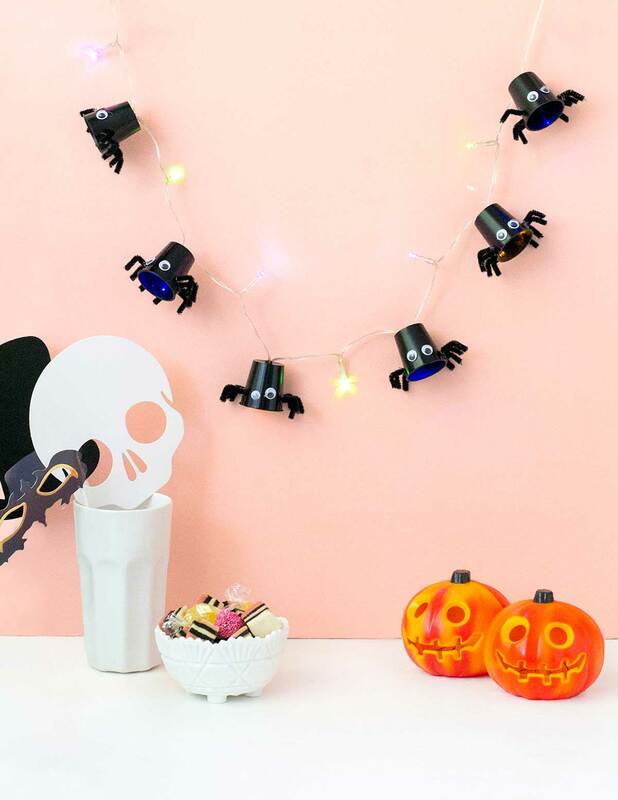 And while these little guys might be more cute than scary, they’ll still add a nice eerie touch to help you set the scene for the trick or treaters who come a knocking at your door. This is an easy DIY to whip up if you’re looking for a craft project to get stuck into before the 31st. It’s also a fun one to get the kids involved with – they’ll have a blast giving you a hand with all those googly eyes and pipe cleaner legs! 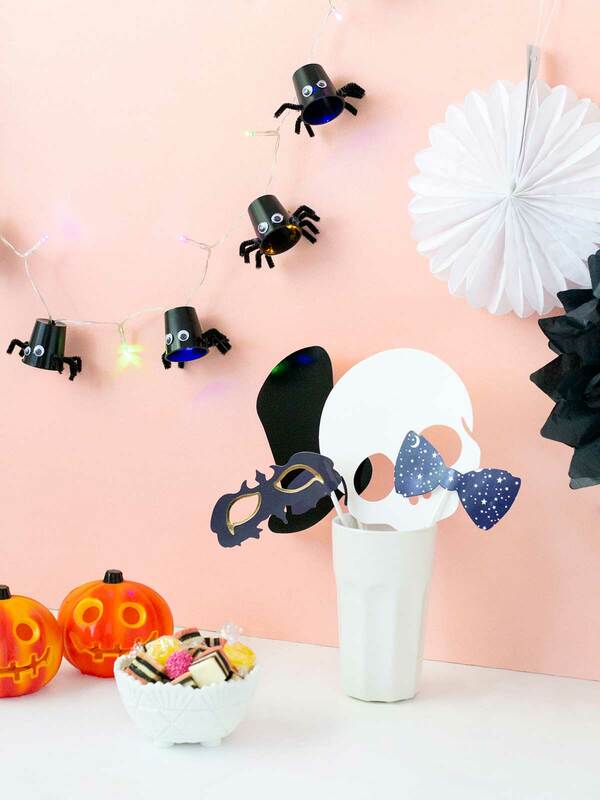 Head on over to The Reject Shop for the full tutorial and have fun decorating for Halloween! Thanks Megan, I’m so glad you like my little spiders! 🙂 I’m a huge fan of The Reject Shop too – so many good bargains in the one place, it’s hard to resist buying everything!